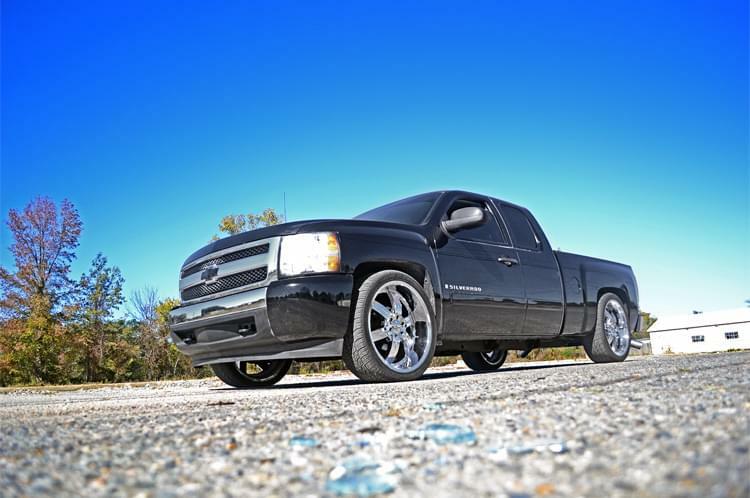 If you want to easily transform the look of your truck, look no further than Rough Country`s 2-inch front and 4-inch rear Lowering Kit with N2.0 Shocks for 07-13 GM 1500 2WD pickups. Our easy-to-install Lowering Kit is a total transformation, offering a sleek, modern look while supplementing the rear suspension! Unlike most lowering kits, this package includes a set of rear N2.0 Shocks for a smooth, balanced ride and a set of durable spindles that provide the ultimate in dropped durability and an overall better ride quality. A set of sturdy Front Driver and Passenger Lowering Spindles offer plenty of strength and durability while helping maintain a factory-like ride. Also included are a set of Axle Flip Brackets, and a set of plate-steel Rear Hanger Brackets. 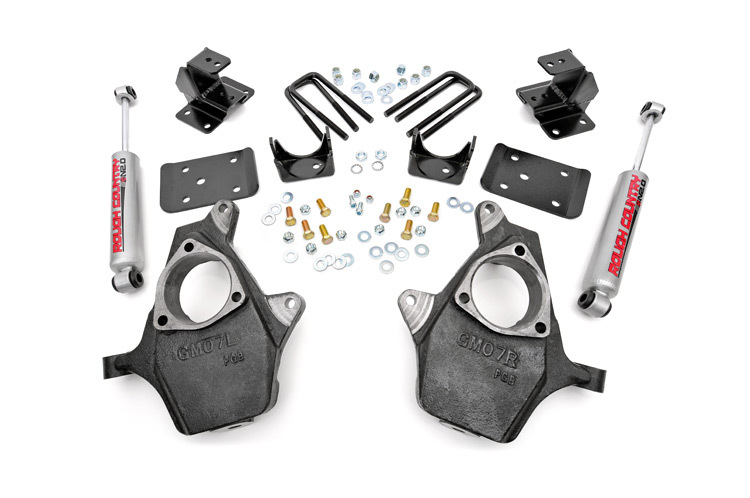 All together this kit drops the ride height of your truck by 2" in the front and 4" in the rear, offering a sleek, level drop while keeping other crucial components in line. This easy-to-install kit requires some cutting and drilling and comes backed by Rough Country`s Lifetime Replacement Guarantee.